While there is no time frame for choosing a new leader of the Unity Labour Party (ULP), the transition of government and the public sector to a younger breed of persons is ongoing. And, eventhough Prime Minister Dr Ralph Gonsalves has been speaking about these transitions for some time now, the announcement last Friday that Minister Camillo Gonsalves is now this countryâs Minister of Finance took several people by surprise. After the announcement, social media and talk radio were abuzz with speculation that the younger Gonsalvesâs new portfolio means that he will be his fatherâs successor. Prime Minister Gonsalves, speaking on the Cabinet reshuffle during a press conference yesterday at Cabinet room said he has spoken about the political and administrative transition and this cannot be done in isolation of each other. âPart of my responsibility as leader is to ensure proper transition and orderly transition,â said Gonsalves who noted that there are some leaders who leave things to chance and think that the transition is not their problem. Gonsalves said this country has had four long serving leaders since 1951 — Ebenezer Joshua, Milton Cato, James Mitchell and himself and experience teaches that preparations must be made for transition. âIt is certainly arguable that Joshua did not prepare a transition either within his party or in the state administration; that Milton Cato, great leader that he was, didnât sufficiently do that in my judgement; and Sir James, also another distinguished leader, he had it on his mind and spoke about it from time to time, but he probably thought that he had more time that he actually had and maybe should have started the transition as early as 1994,â said Gonsalves. He noted that by the time Mitchell was ready to make the transition in 1998, the political circumstances were not propitious for him to do the transition in a proper or orderly manner. ââ¦And this is why you had such dysfunctional government in the last couple of years under the NDP (New Democratic Party),â said Gonsalves who added that he could write a thesis on transition of leadership. âI am managing the transition in the most efficacious manner, to have orderly development continuing,âadding that this has to be done in the political sphere as well as the administrative sphere. He said this year, there were a number of changes in which younger persons have taken up management positions within government. Changes have occurred at the Ministry of Health, Ministry of National Mobilisation and Social Development, Ministry of Foreign Affairs and the Ministry of Finance among others. âAll these people are young people, you are going to have a lot of years from them in senior positions. Every one of them, highly trained, highly qualifiedâ, said the PM while adding that the ULP is like a family unlike the NDP. âPeople ask what are the differences between the ULP and NDP and I say, there are two major differences,â said Gonsalves who said the NDP does not have a guiding philosophy, whereas that of the ULP is social democracy grounded in our Caribbean and Vincentian circumstances. He said that the second difference in addition to the issue of the philosophy, has to do with the unity of the ULP. Gonsalves said the ULP is deeply grounded in the people. âThose who are seeking to create mischief, Saboto [Caesar] versus Camillo, dynasty. They misunderstand these two fundamental things that I just mentioned,â said Gonsalves who added that the ULP Is filled with an abundance of capable persons. He said the country should celebrate that we were able to produce young men like Saboto and Camillo, two highly trained bright young men. 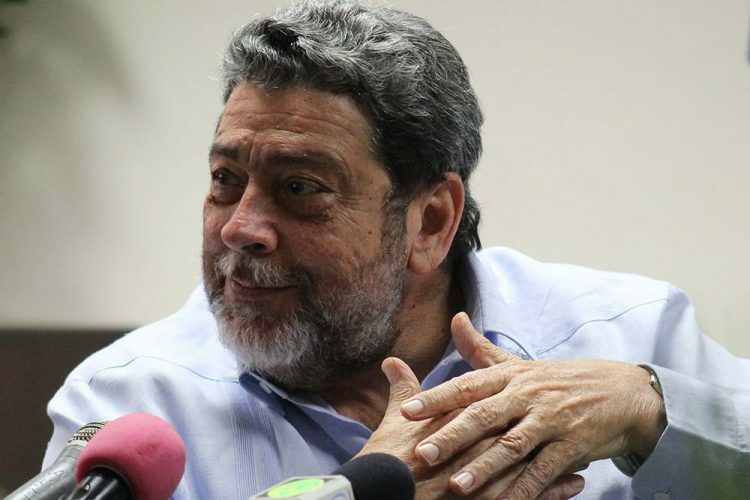 We must stop this nonsense of trying to play, to pit this person against that person and not look at our blessings,â said Gonsalves who revealed that every job that he has ever given to Saboto or Camillo, on no occasion have they ever disappointed him.